We know it’s not Christmas quite yet, but some things are worth planning ahead for. 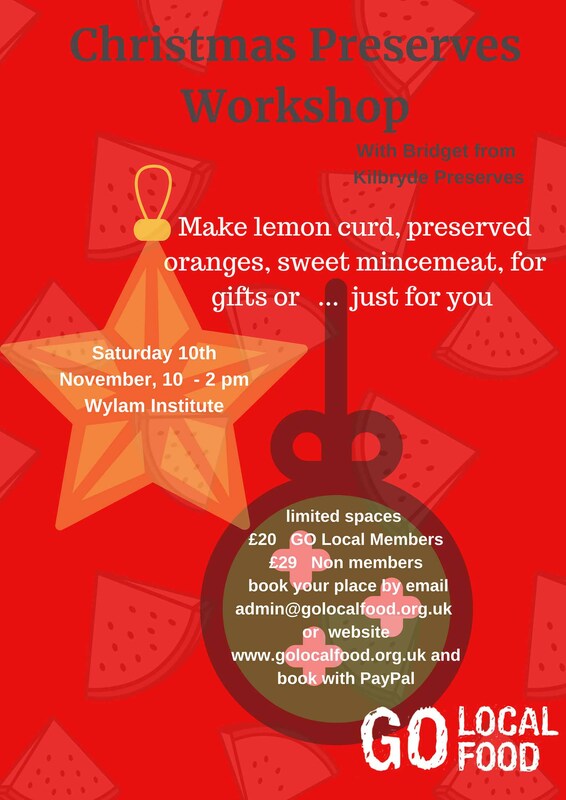 Join Bridget from Kilbryde Preserves for our Christmas Preserves Workshop at Wylam Institute (10am – 2pm) and learn how to make lemon curd, preserved oranges and sweet mincemeat for the Festive Season. Spaces are limited so book your place by email (admin@golocalfood.org.uk) or use the PayPal button below. Go Local Members £20 and Non members £29.